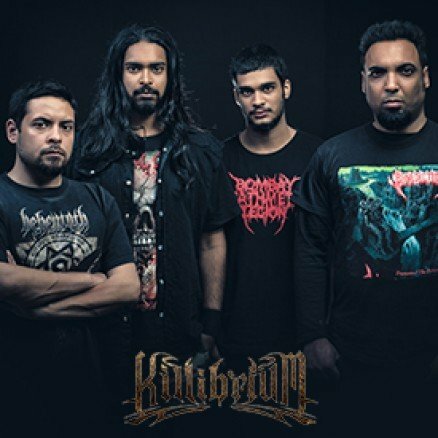 Killibrium is an Extreme Metal band from Mumbai formed somewhere in 2015. Their music can be best described as relentless, energetic and brutal. The band consists of Keshav Kumar on guitars, Mihir Bhende on drums, Nitin Rajan on vocals and Suvajit Chakraborty a.k.a Bunty on bass duties. The band has previously released a single titled Mental Illusion in 2015 and are releasing their debut album called 'Purge' in January 2018. The album art is designed by none other than Michal Xaay Loranc who has also completed design projects for bands like Nile, Demonic Resurrection, Behemoth, Vader and many more. Check out this simple yet brutal art. Get it now!